1-2 Referees to run the activities for maximum fun! One-to-Two Event Staff Members who will travel to your location (travel fees may apply if more that 45 mins from Largo). 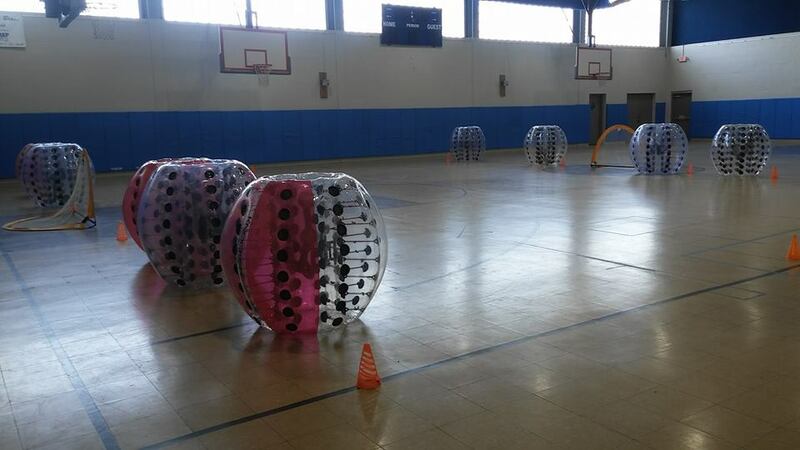 The Event Staff will set up all of the equipment needed to play knockerball. They will stay for the duration of your rental to referee all of the games. Once the party is over, they will pack up and bring everything back. All you have to do is show up ready to GET IN THE BALL and play. Locations - Where can you play knockerball? 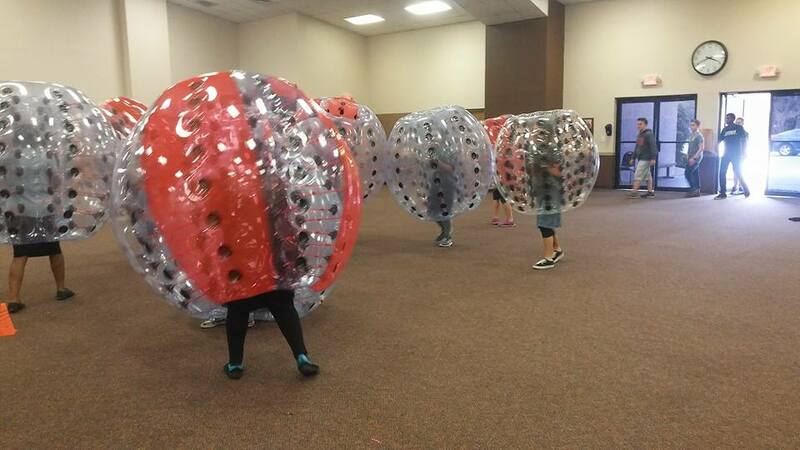 Knockerball rentals are available all over of the Tampa Bay Area. Interested in booking an event or party? Don't have a facility available to play at? Let us know and we can try to help you secure a day and time at some of the locations we work with. Additional fee may apply for facility rentals, check with the facility you plan on playing at for their prices. We will travel to you. Travel fees may apply if your location is more than 60 minutes from Wesley Chapel, Fl. 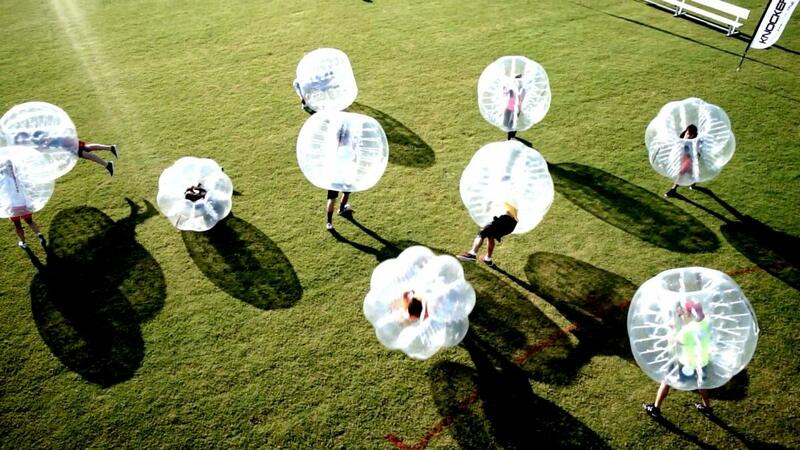 Play Outside- Play Knockerball Bubble Soccer outside in your yard, at a neighborhood park, or a city park. Give us a call for a list of Parks & Fields near you. 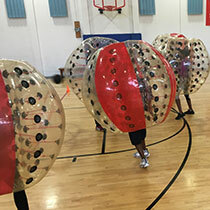 Play Inside- Play Knockerball Bubble Soccer at an inside basketball gym, or a carpeted multipurpose room. Beat the heat, play inside with A/C. If you are interested in playing inside let us know and we can recommend a few locations that have rental spaces. Basketball GYM, Indoor Soccer Field, Etc. Indoor Carpeted Multipurpose Room, Beach, Etc. Knockerball is for ALL ages! People of all ages can "Get In The Ball" and roll around. We've had small kids & grandparents play. It's more of a comfort and physically ability requirement than an age requirement. Usually 7 is the age at which kids can hit inside the balls. Smaller kids still have a blast getting in the balls and rolling around. Medium balls are recommended for 12 year olds & younger (5'3" & shorter). Large Balls are recommended for 13 year olds & older (5'4" & taller). Add Hours- Each package includes at least 1 hour. Add more time to your party to maximize your fun! Average party rentals are for 1-3 hours. $65 each additional Half Hour you add to your party. Travel Fees- may apply if your location is more than 1 hour from Wesley Chapel, Fl. Generator Fees- may apply is there is not a power source within 50' of the playing field. After Hour Fees- may apply if after 9pm. Sand Fees- may apply is playing in sand. Ask us about our Video/Photo Package. Also ask us about our Birthday Party Invitations! The Soccer Ball is so BIG, you can hit it with your Knockerball & send it flying into the air.